brought me to a thought about launching soft kites. You could use an unfolding/folding techniques like Kitesails does. In strong winds you could launch similar to kitesurfers orthogonal to the wind. For light winds you could go launch downwind parallel to the wind. And for even lighter wind you could additionally reel-in. 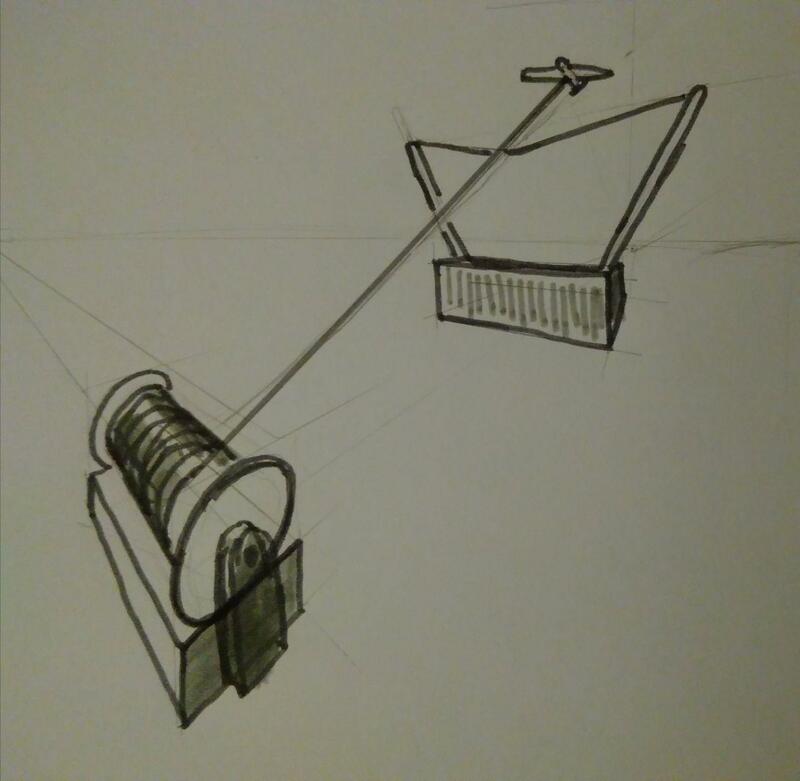 to automate this you could fix the position of the winch and put folder/unfolder system on a rail with circular path to be able to adjust the angle. A rail sounds like quite a bit of infrastructure, which could also take up land from other uses… A portable launching crane may work instead at your launch site… Assuming you have a real need for your launch and ground site to be separate. The kite was docked using a separate line just to get the valve in the right position, I think. Maybe this would be the case here, too. The valve is at the back and there’s always a line going from there to the docking station. If one has the packing station at a large enough distance I don’t think it’s neccessary to adjust the angle to the wind exactly. The winch can pull the kite up. Landing will probably be much more difficult. The future is said to be rigid. Would make automation much easier. Just do it like zipline and let the kite hang there (or lower it into a container). To launch just tighten the winch line and release the hook. 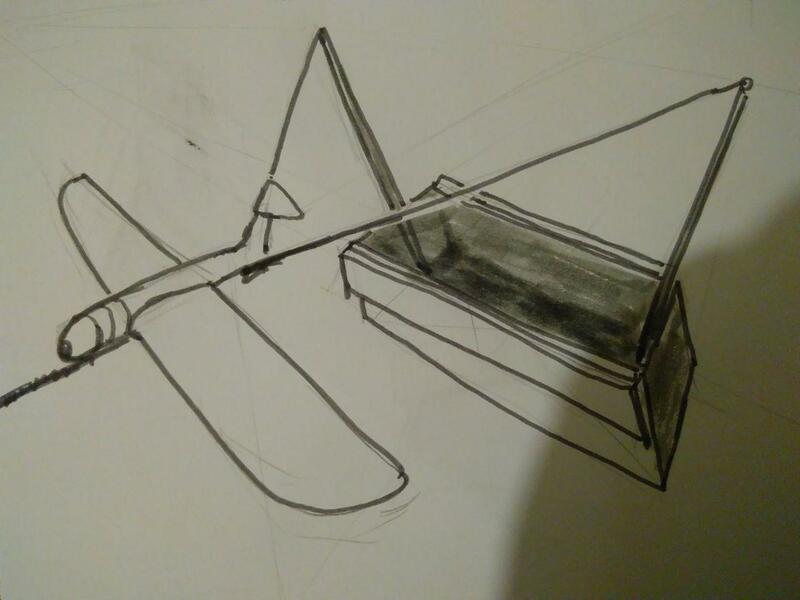 (The hook would have to be designed to allow for only two degrees of freedom, so that the plite doesn’t launch into the ground) Might even be possible for unpowered drones. For me the «dealbreaker» is most probably the amount of line that must be reeled out before launch. For the kite to be ensured into clean wind, the tether must have the altitude length plus whatever you reel in in the launching process. The good thing is if you dont find said clean wind, you can just reel the kite safely back to the winch. if you dont find said clean wind, you can just reel the kite safely back to the winch. Assuming the propsed system with the winch and kite station separate, that’s impossible. Yes and no. 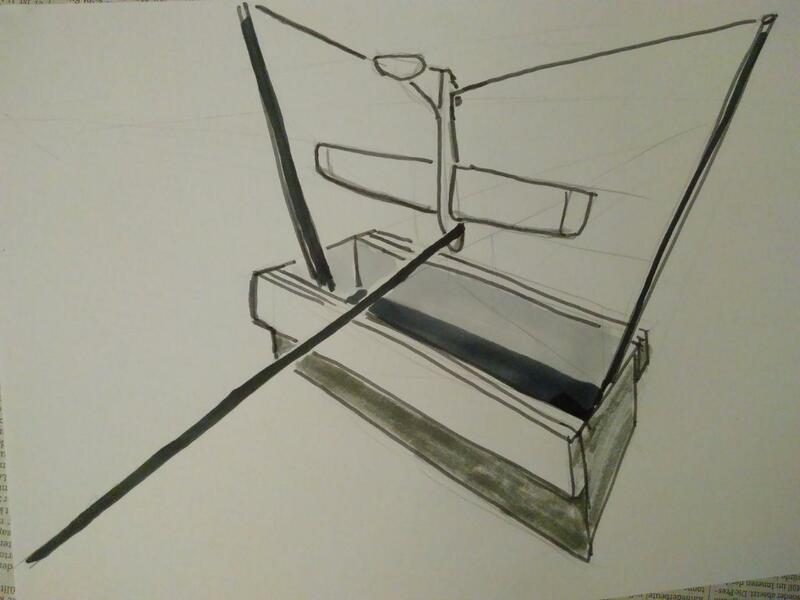 Though you would need a means to transport the kite back after an emergency landing, you might still save the equipment, so this might be an ok design choice. By having a distance (larger that pictured) between winch and drone capture point one can do a glider winch launch. No propulsion system on the kite neccessary at all.